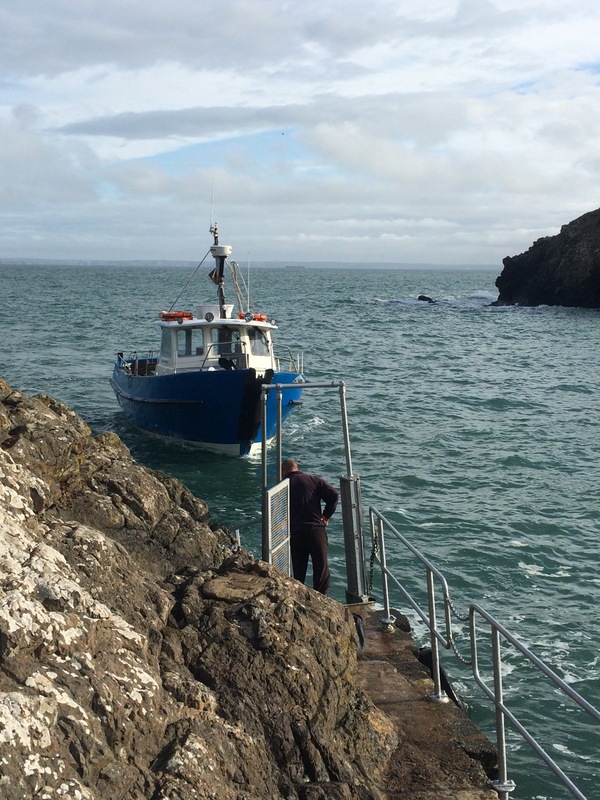 The weather had calmed a lot overnight and it was good news this morning when Joan phoned the boatman. I packed my stuff, including 2 fresh eggs that Joan gave me from her hens (for breakfast tomorrow) and then my lovely host gave me a lift to Martin’s Haven. 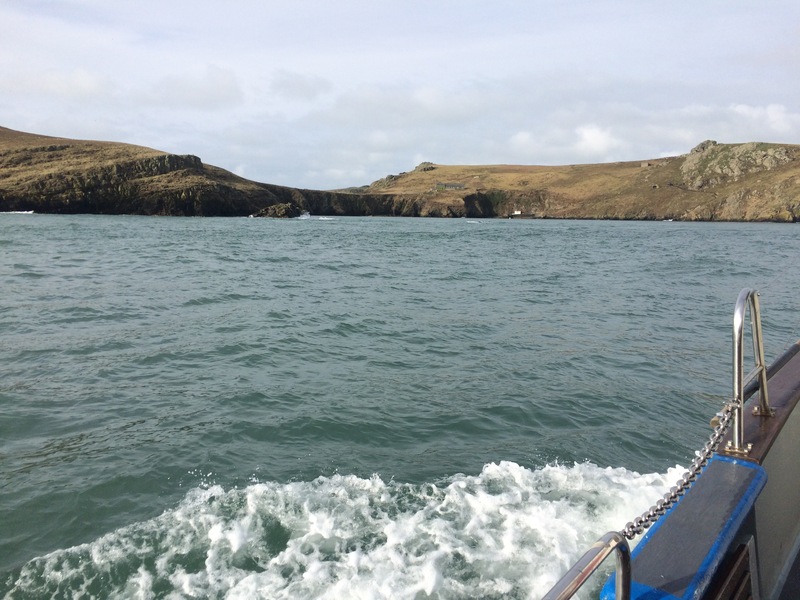 There were 5 of us going to Skomer for a one-night stay so I was lucky to get a room to myself. The ferry only took 10 minutes but there was lots of kit to offload as volunteers going for a week have to take all their food as well as clothes, and then there’s the specialist binocular and camera equipment. Fortunately there’s a tractor at the other end to carry everyone’s kit to The Farm in the middle of the island. With my lack of stuff and lack of food it didn’t take me long to settle in so I hired a pair of binoculars and set off on a trip around the island. After about half an hour I met Olof and Carole and stuck with them for the rest of the day (I don’t think they minded me gatecrashing their trip) as it was nice to have the company. 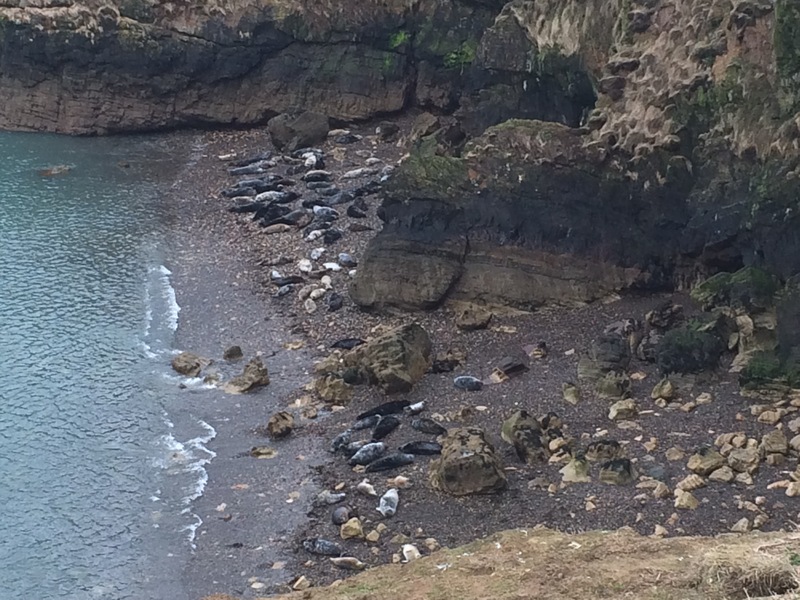 We spent a good 7 hours outside looking at birds, seals and porpoises. The weather was fine in the morning but closed in later and the day ended very wet. The wildlife-watching was excellent. The absence of land predators means that the birds are everywhere, often just sat on the ground, and they’re very noisy. The highlight for me was watching a peregrine in an aerial chase of a small bird – fantastic aerobatic display. I didn’t see who won as they disappeared below the cliff top. 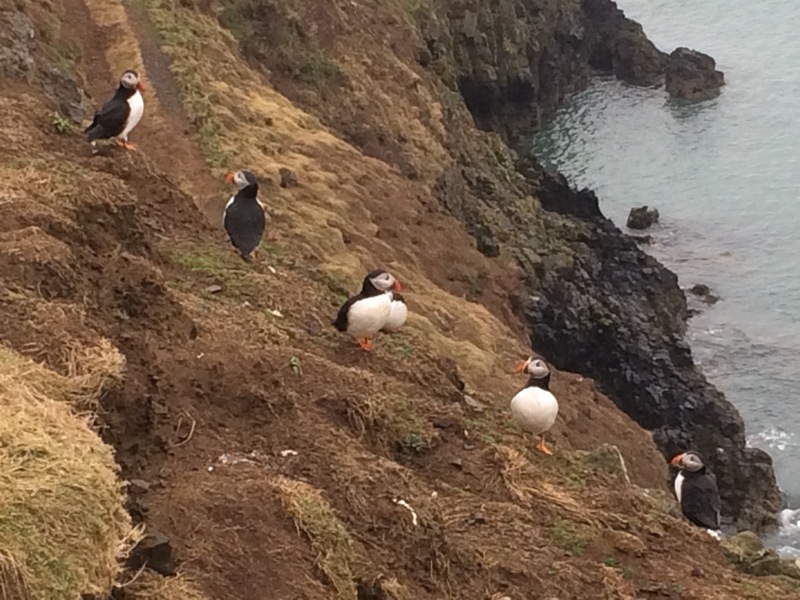 Other highlights included hundreds of puffins returning to Skomer in the afternoon after disappearing from the terrible winds for a couple of days, seeing 4 porpoises swimming line abreast, and the amazing Manx shearwaters that invade the island overnight (two flew into me and you have to be careful not to read on them as there are so many on the paths). Carole and Ollie offered me the leftovers of their pasta dinner (which was much nicer than my ration pack) and shared their tea and milk with me. I provided the bara brith. Dinner in front of the fire was cosy. At 8.30pm the warden holds ‘bird log’ and we went along. 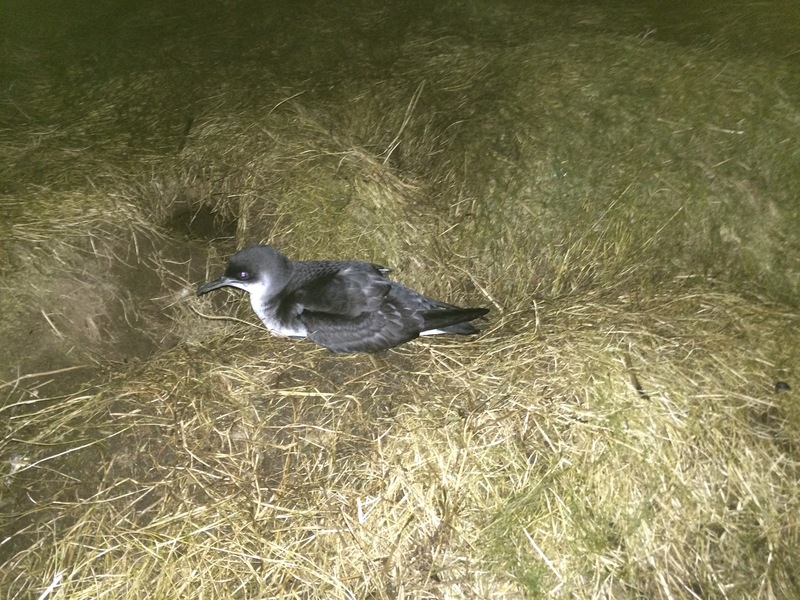 The workers and volunteers make a daily log of sightings, including numbers, locations and behaviours. 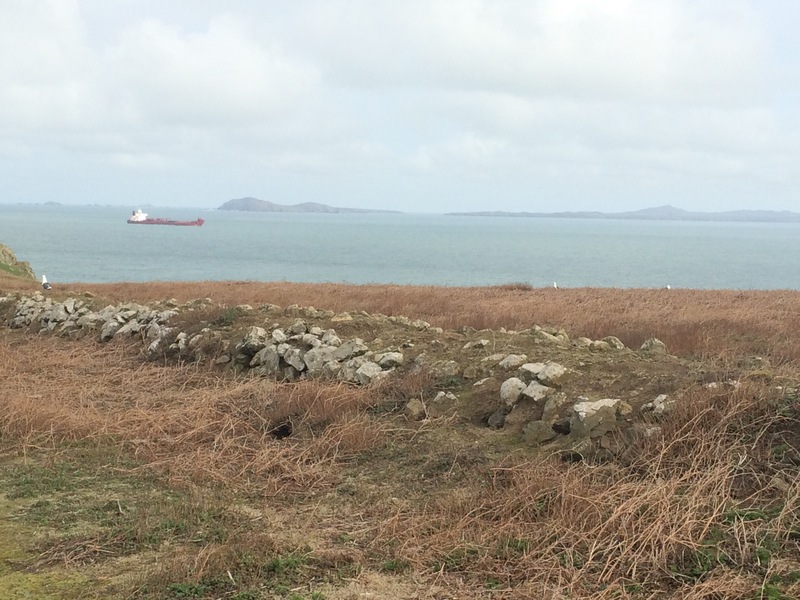 Carole, Ollie and I were able to add to this so I feel like I’ve helped a little to the study of wildlife on Skomer. 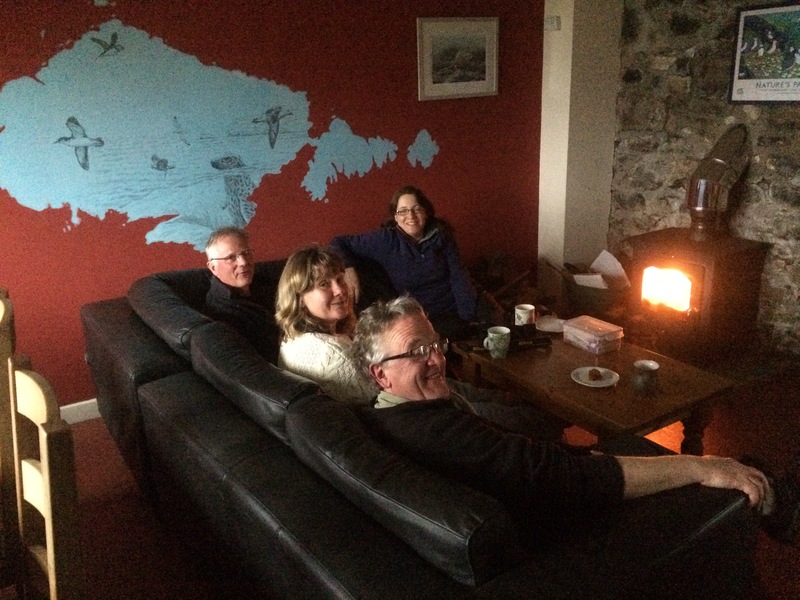 It was freezing in our stone cottage but I was quite snuggly in my sleeping bag covered in a couple of blankets. It had been an excellent day. 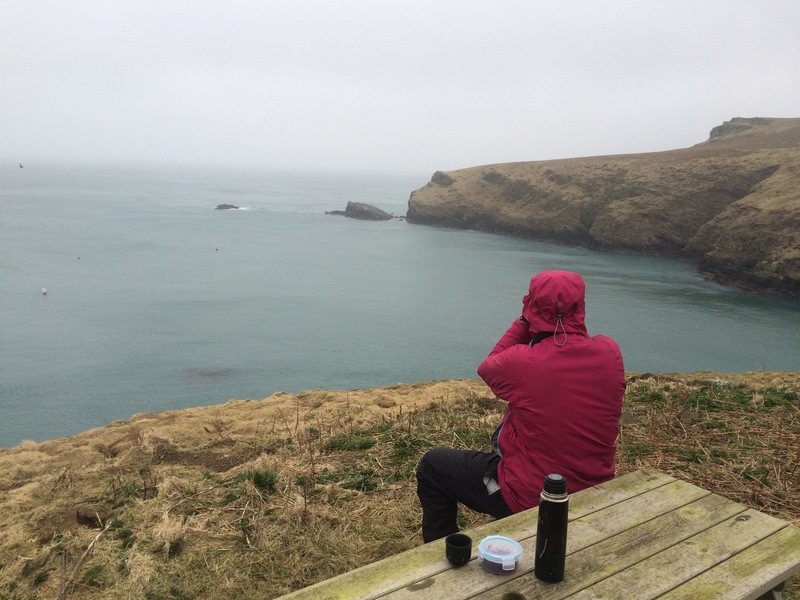 Harbour porpoises, grey seals, peregrine falcon, buzzard, Manx shearwaters, gannets, puffins, razorbills, cormorants, Choughs, Ravens (+ 2 nests), jackdaws, crows, herring gulls, great and lesser black backed gulls, kittiwakes, fulmars, oystercatchers, curlew, Pheasants, Canada geese, Moorhen, Shelduck, Swallows, Meadow pipits, Wheatears, Wren, Willow Warbler, Pied wagtail. Hi Lucy! 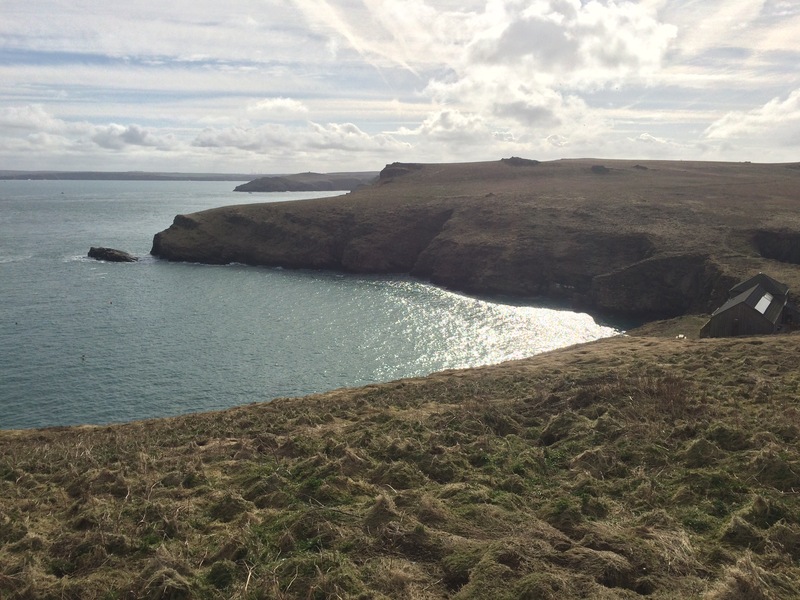 – So glad you made it out to Skomer! 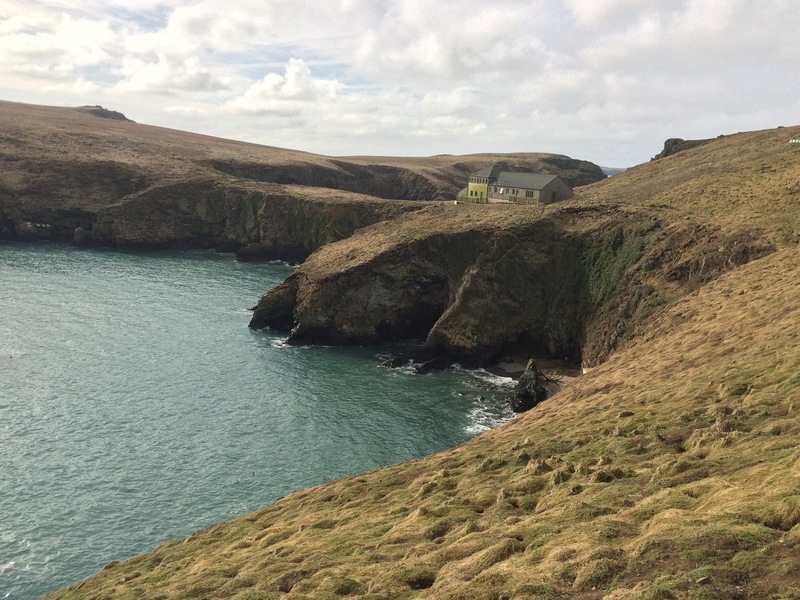 The best descriptions I have read – I hanker after visiting the island, because of my mother’s family connexion – renting it with friends for idyllic long summer holidays between WW1 & WW2. – I was down that way 3 yrs ago, but the weather was too rough for the boat to sail. Birds and anoraks….what an adventure. Well done Juice. The Warden’s House at North Haven is in a beautiful spot……Your pics and text reminded me of South Georgia, an island teeming with wildlife and very few people, my idea of heaven. 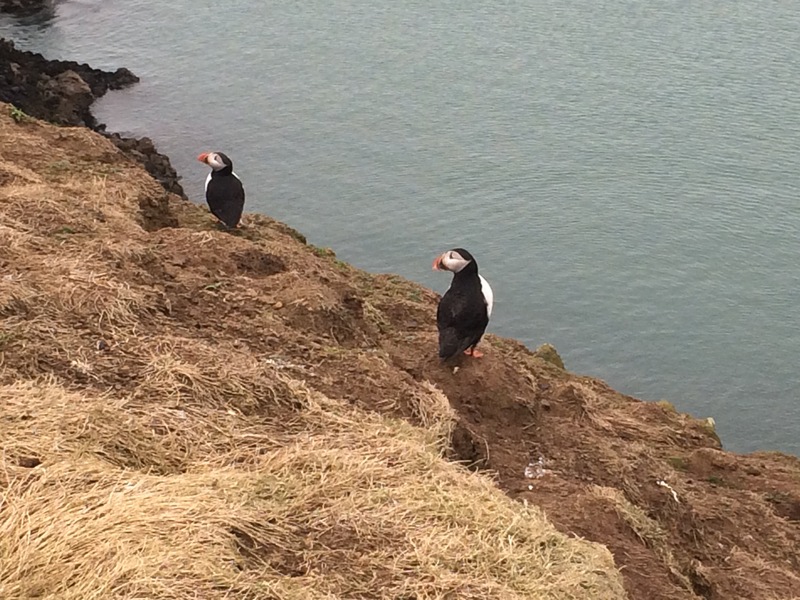 On on Marshal of the Air (Retd)……..
You saw lots of wildlife on Skomer and it sounds fantastic. Thank you.